In February 2017 our Your Move Community Sport Activator and Y:Women Can Coordinator were given a fantastic opportunity to help the young women of the Fylde Coast get active. 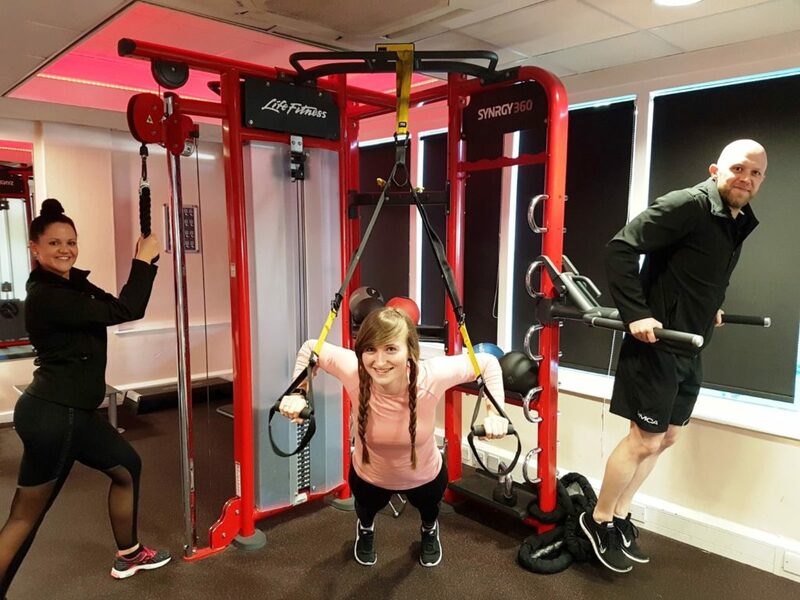 With the help of funding from Lancashire Sport and the Sportivate project, Your Move was tasked with giving young and inactive girls the opportunity to use the YMCA Fylde Coast fantastic leisure facilities for free for two months. One of these applicants was Lucy Doyle who shared her story with us at the end of her time on the Sportivate Project. So, where do I begin…? At the beginning of March I went for my Sportivate induction at Thornton YMCA. Whilst I was there I was really excited to start my fitness journey, especially after being told about the rewards (spa pass and discounted memberships once completed) this made me more determined to do well, then I could feel confident in my swimwear when I visit the spa. But where did it all begin? Back when I was a child, I was always bullied for being overweight and it’s always been something that’s bothered me. So in Nov 2016 I began Slimming World, lost 2st 6lbs and reached my target weight in Feb 2017. That’s when I decided I wanted to get fit, strong and toned but I was too scared. I was scared to join the gym in case I got laughed at or in case I looked stupid. But after being given the opportunity to participate in Sportivate it made me realise that everyone else around me was there for the same reasons and that there was no need for me to worry. I began my fitness journey that night. I started going to the gym at Thornton and Fleetwood, as well as participating in Synergy and I loved it! In fact, it made me question myself as to why I didn’t start sooner. I began going to the gym 4 times a week, which soon mounted up to 5-6 times a week; not only that, I even got myself a Personal Trainer! I am now squatting more than my own body weight, I hit 190kg on the linear leg press for 8 reps and when I started I couldn’t do a press up and now I can do about 20 in a row – to me, these are massive achievements and I am so proud of myself! I absolutely love the gym now and participating in Synergy at Fleetwood YMCA is my absolute favourite and the staff are amazing! Once my Sportivate membership ran out, I paid for an annual membership straight away and I’m so glad I did. Sportivate has changed my life! I have met so many amazing people, both gym users and staff. Everyone is so friendly, welcoming and helpful. Going to the gym in the evening, after work is the highlight of my day. I always look forward to it, even when I’m really tired. But the best part is seeing my progress, I absolutely love lifting weights and it is so overwhelming to see how far I have come because I would not be where I am today if it wasn’t for Sportivate! I always plan my sessions for the week and book myself on to as many Synergy classes as possible. I have even started bringing my niece with me on a Monday night to help her to stay fit and healthy too. Not only that, my brother’s girlfriend lives in Manchester, but she comes to Fleetwood every weekend and I even managed to persuaded her to purchase the 30 day gym pass that was offered recently and now she loves fitness too! She’s now thinking about becoming a YMCA member and I will do as much as I can to persuade her because it was most definitely the best decision I ever made! I feel so much fitter, happier, healthier and more confident – I cannot express how grateful I am for being given this opportunity.